Ideal all-round care for short and long hair. This medically tested care shampoo cleanses mildly and thoroughly. Has a refreshing and vitalising effect. Does not have a degreasing effect so the skin’s natural protection is preserved. Gives a silky, pearly shine. The Effol Shampooing Brush makes it particularly easy to apply. 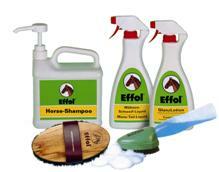 Selected natural ingredients ensure healthy hoof growth. The natural development of the hooves is promoted – improving elasticity and strength. The regular use of Effol Hoof Ointment guards against the risk of hoof disease as a result of poor care. Contains: Green or Black. 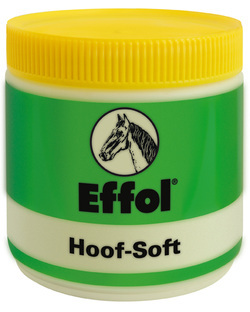 For external application always apply Effol Hoof Ointment from the coronet downwards. Rubbing the product in also increases the effect. Healthy hoof growth always begins in the coronet.